OGX Renewing Argan Oil Shampoo I have really enjoyed using this shampoo (and its matching conditioner, which I've not quite finished yet); they leave my hair feeling clean, soft and smooth, and I've been finding that it takes longer for my roots to start looking oily. However, I've been breaking out quite badly on my back and chest, which I think may be due to the silicons in these products, so I'm swapping them out for now to see if it helps. If not, I'll probably be coming back to them! REN Invisible Pores Detox Mask I bought this because invisible pores sounded like something I could roll with, but ended up being pretty disappointed - as often seems to be the case with REN products. I don't know if my expectations are just too high, but let's be honest - I wasn't expecting actually invisible pores. I was expecting to see some improvement, but sadly, I didn't; this just felt like an over-priced clay mask with no real benefits over any other clay mask I've ever tried. Armani Code Eau de Parfum I was so sad to finish this as I've had it about four years and absolutely adore it, it's a scent I always get complimented on and I just feel more 'me' when I wear it. It's pretty expensive so I wasn't expecting to replace it, but I actually treated myself to a bottle from Duty Free on the way back from Milan - with 10% off the already-bargain price, it really would have been rude not to! The Body Shop Wild Argan Hand Cream This smells absolutely beautiful and was a handy sized tube for keeping in my pocket at work, but I didn't find it as hydrating as some of The Body Shop's other hand creams - I'm loving their Hemp Hand Protector at the moment as it works so well to soften and moisturise my flaky, cracked, dry, sore hands. Makeup Gallery Smoothly Does It Pressed Powder This little gem was from Poundland and lasted me a couple of months of almost-daily use; it worked well to set my foundation and I didn't find that it oxidised or anything like that. It didn't keep my skin matte all day, but then no powder I've tried thus far has, and at just £1 for a compact, I certainly can't complain!! And that's it! Told you it was a poor effort. Have you tried any of these products? If you have any SLS- and silicon-free shampoo recommendations to share, I'd love to hear them!! Congrats on passing your test! I know what you mean, can you believe it's April tomorrow? April! I've been really into hand creams this Winter and keep a hand size The Body Shop coconut on my bedside table. The smell is amazing, haven't tried the hemp one. Congratulations on passing your driving test! OGX do some lovely products, but I know what you mean about the silicones. They sometimes make me break out too so I try to alternate the products I use. 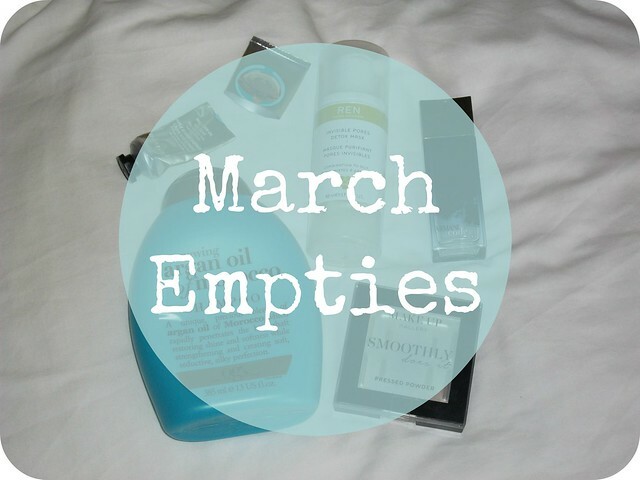 I haven't tried anything from your empties list if I'm honest! 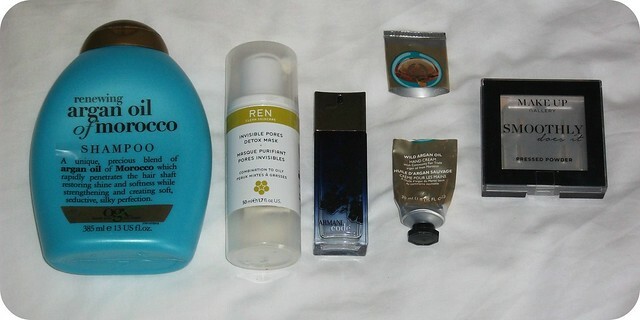 Dying to give some Ren products a try though. Congrats on passing your driving test :) Biosilk does some great shampoos and it lasts a long time, but its on the pricey side. Congratulations Jess, that's awesome news! It's a shame the REN Mask was a disappointment for you, I haven't tried it myself but for some reason I also have high expectations of REN too. This reminds me that I still need to try the products from pound land!